When visitors click the LEC Passport button on your website, your content is instantly translated into their choice of 21 languages. Translate any web page, and other linked pages, letting your customers easily browse your site in their language. Translation is performed on LEC's servers. Installing LEC Passport is as simple as adding a few lines of code into your website. LEC provides sample code to implement your website translation. 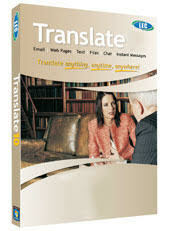 Translation servers are hosted by LEC. No additional resources are needed on your servers to add LEC Passport to your website. Using HTML frames allows seamless integration of translated pages into your website. You can also embed a simple form into your website that provides translation of short sentences. This makes it easy for visitors to ask questions in their own language. This can separate you from your competition and turn inquiries into sales. Using out unique composite translation engine that allows for "two-stage translations," such as Spanish-to-English-to-Japanese, Passport provides over 300 language pairs. The price of Passport depends on the number of annual translations. Each translation of a web page constitutes a translation request. Passport 100K means 100,000 page translations, (100,000 translations of web pages), or a year of service, whichever comes first. Compatible with intranets, extranets, and the Internet. Have questions or need a larger number of translations? Fill out the form below and we will contact you. We usually respond within the same business day.